ARTICLES Can I Get a Loan to Pay Off Tax Debt? Can I Get a Loan to Pay Off Tax Debt? Every year, many Americans find themselves owing the IRS more than they can afford to pay. 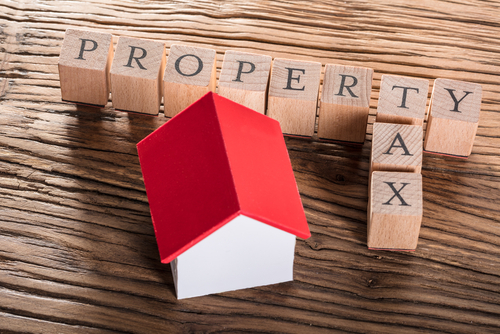 Whether you owe back taxes after an audit or miscalculated when making estimated quarterly payments, those in trouble with the IRS often have the same question: Can I get a loan to pay off tax debt? The short answer is yes. Personal loans, in particular, are very versatile and can be used for almost any legitimate purpose. That includes paying your taxes. However, depending on your situation, getting a loan may not be wise or even feasible. 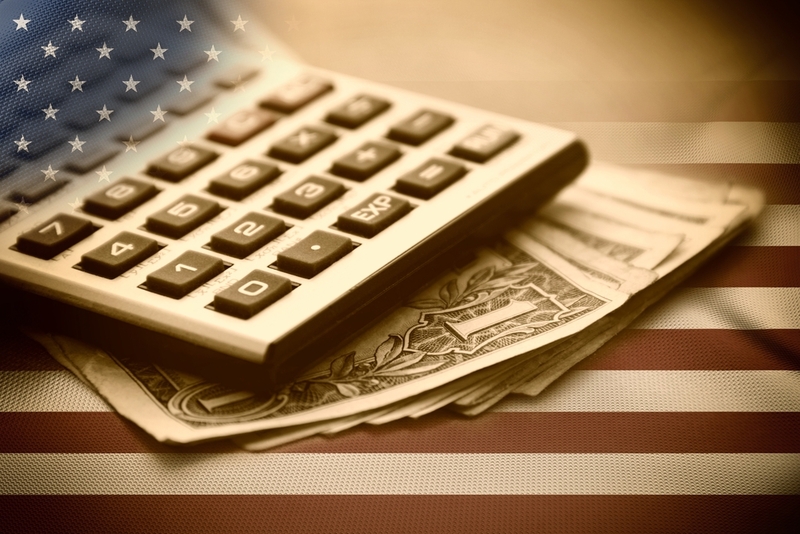 To determine whether you can or should get a loan to pay off your tax debt, consider the following questions. Most personal loans will be between $2,000 and $50,000. If you owe less than $2,000, you may end up borrowing more than what you need to pay off your tax debt and paying more in interest than you would with an IRS installment plan. If you owe more than $50,000, you may not be able to find a personal loan that will cover your entire debt. 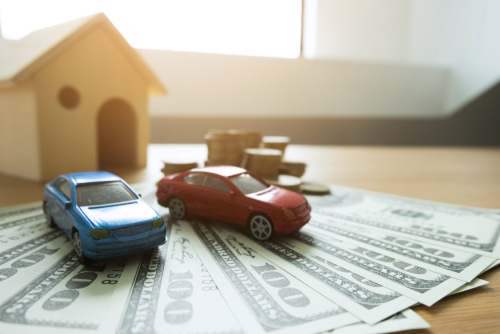 A few lenders do offer personal loans up to $100,000, but these loans are typically reserved for borrowers with excellent credit and a six-figure income. Not all consumers will qualify for a personal loan — and even if you do, the amount and terms will depend heavily on your financial situation. You can use Finder’s personal loan calculator to determine how much you might be able to borrow. Personal loans are a type of unsecured debt, which makes them riskier for lenders. For that reason, consumers with poor credit may have difficulty qualifying for a personal loan. In addition to your credit score, lenders often look at factors like your income, debt-to-income ratio, level of education, career, and what you plan to use the money for. Their goal is to determine whether you are a responsible borrower who is likely to pay the loan back. Those with a low credit score, low income, or high income-to-debt ratio may still be able to qualify for a personal loan. However, the terms will likely be less favorable than for those with excellent credit and a better financial situation. Before accepting a personal loan, compare offers from multiple lenders to find the best one. You should weigh any offers against the terms of an IRS installment agreement. In some cases, the interest rate may be significantly higher than what you would pay with an IRS payment plan. 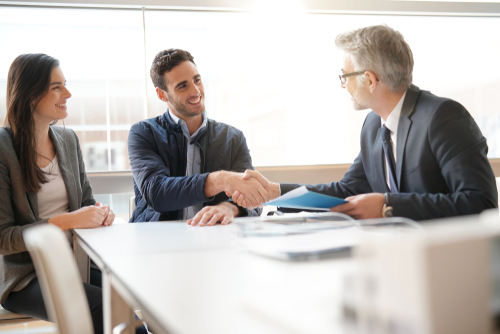 Be sure to examine all the details of each loan offer, including the interest rate, any origination fees, the monthly payments, and the term. Most personal loans have a term of one to five years; the longer the term, the lower your monthly payments will be. Can I Afford the Payments? A personal loan may make your tax debt easier to repay by spreading the cost over several years. However, if you owe several thousand dollars, the monthly payments can still be fairly high. A $10,000 loan with a 6% interest rate and a three-year term, for instance, will come with monthly payments just over $300. The same loan with a one-year term will have monthly payments over $850. Even if a personal loan saves you money on interest and origination fees, it’s not a good option if you won’t be able to afford the monthly payments. Set up an IRS payment plan. The IRS offers both short-term and long-term payment plans. Taxpayers can apply for these options online or by phone, by mail, or in-person. Setup fees are $0 for short-term plans and range from $31 to $149 for long-term plans. Any failure-to-pay penalties may be reduced, but interest will continue to accumulate daily until your balance is paid in full. Pay with a credit card. You can pay your tax debt with a credit card. However, unless you’re taking advantage of a 0% interest promotion, you will almost certainly pay more in interest than you would with a personal loan or an IRS payment plan. Get a home equity loan. A home equity loan may be a good option if you can find one with a lower interest rate than the IRS charges. Additionally, the interest on a home equity loan might be tax deductible. However, if you default on a home equity loan, you may lose your home. Work toward a tax settlement. 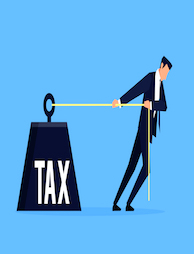 Several reputable companies offer tax debt relief services for taxpayers who owe considerably more than they can afford to pay. These companies act as a mediator between you and the IRS. They will attempt to reach a tax settlement that allows you to resolve your debt for less than what you owe. What Happens If I Don’t File or Pay? The failure-to-file penalty is 5% of what you owe for every month — or partial month — that your return is late. For returns that are more than 60 days late, the minimum penalty is $210 or 100% of what you owe, whichever is lesser. The failure-to-pay penalty is 0.5% of what you owe for every month — or partial month — that your payment is late. The rate increases to 1% if your taxes are still unpaid 10 days after the IRS sends you an Intent to Levy Notice. 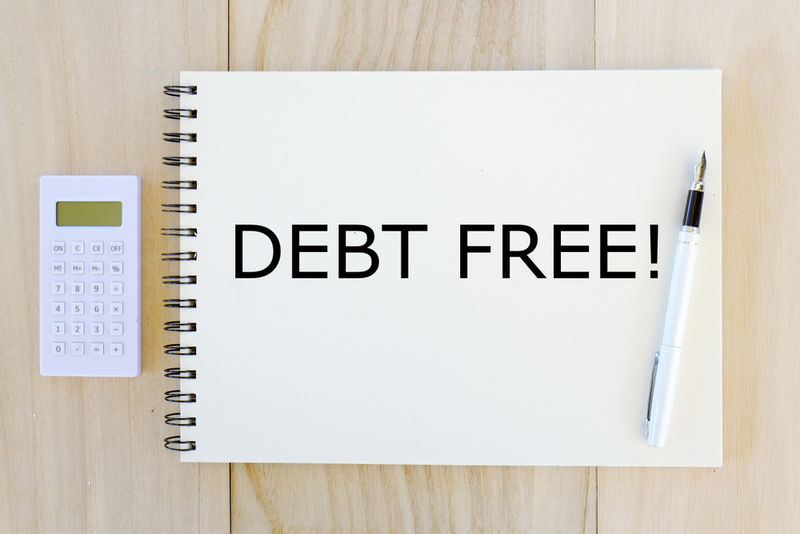 Although neither penalty will exceed 25% of your debt, the fees can add up quickly. For these reasons, it’s best to pay your debt as quickly as possible — whether you decide to set up a payment plan with the IRS or apply for a personal loan to cover your tax debt. If you owe more in taxes than you can afford to pay, consider working towards a tax settlement with one of the top debt relief companies on Solvable. Take our five-step quiz or call 855-324-1775 to get started, and we’ll connect you with the best company for your needs.